For the past couple of years, open world games have been getting more and more popular. Honestly, it seems like nearly every other game being released lately is open world, if not having design decisions influenced by the surge in open world style games instead. It's hard not to see why, too. At the risk of losing tighter, more focused linear level design, open world games often allow for a degree of freedom and player choice that more linear games could only dream of—they're popular for a reason, after all. Like with every kind of game, though, there are certain open world games that rise above the others. Whereas some are simply passable, or decent, or even not very good at all, there are also open world games which are the pinnacle of their genre. So, that being said, here are the five best open world games! Ah, Skyrim. Released in 2011 (and then re-released a thousand more times), still full of bugs, and rocking some truly horrible melee combat—somehow, though, it remains one of the biggest open world games around. It's hard to put the finger on what has made Skyrim so compelling for so long, especially considering its issues, but I'd say that it's the sheer amount of things to do alongside a vibrant and extremely active modding community. The base game (and all of its DLC) can occupy players for hundreds of hours with, among other things, countless quests, tons of ways to customize your character, and a world that feels genuinely open. When you've had your fill of vanilla Skyrim, fret not, because there are thousands of mods to keep your attention until the universe's inevitable heat death. 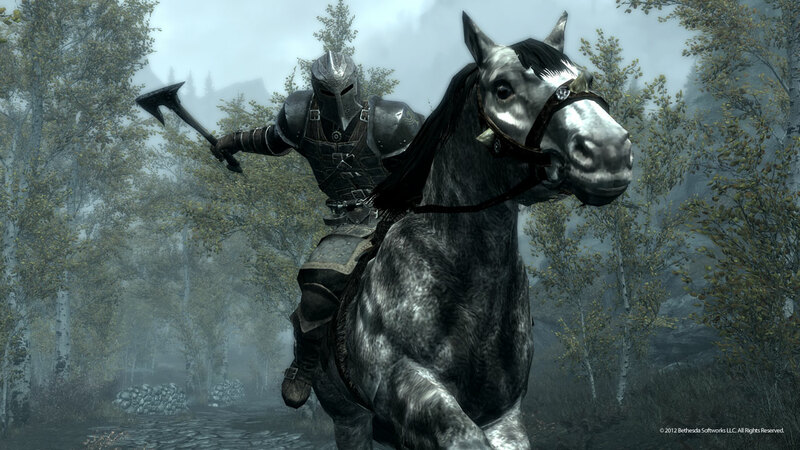 Despite its issues, if a variety of content and a truly open world is what you're looking for, then Skyrim is the game you want. The Phantom Pain is quite a game. Taking the Metal Gear Solid series and going in the direction of open world games was a risky move, but it was one that paid off in spades. Typically a game series focused on tight, well-designed stealth levels with a degree of choice, the Metal Gear Solid franchise's first step into the open world genre is pretty incredible. The Phantom Pain somehow manages to translate everything good about the level design of previous Metal Gear Solid games into an open world setting, which is pretty impressive considering that previous games were far more linear in their approach to level design. Honestly, The Phantom Pain 's success comes mostly from how well its gameplay and its open world work with one another. In comparison to something like Skyrim, whose draw is primarily the vastness of its interesting world and the pure freedom it provides, The Phantom Pain's open world falls a little short. The world is certainly big, but much of it is visually similar, and it can get a little uninspired after a while of playing. But, The Phantom Pain makes up for this with how dynamic and satisfying its gameplay is in conjunction with its open world. If infiltrating enemy outposts by using a cardboard box as a sled is wrong, then I'm not sure I want to be right. Since it came out, Fallout: New Vegas has been a must play. Was it a buggy mess on release? Yes, yes it was. But underneath all of those bugs was an extremely compelling world that oozed mood. Traveling the Mojave with just a revolver by my side and a whole lot of irradiated baddies felt lonely and desolate in a way that neither Fallout 3 or Fallout 4 could ever match. For once, the world feeling dead and barren in an open world game is a good thing—I don't want a living, breathing world from Fallout games. I want a world that lets me know that everything isn't okay, and it hasn't been for a while. Also, a post-apocalyptic Western? How could anyone resist? 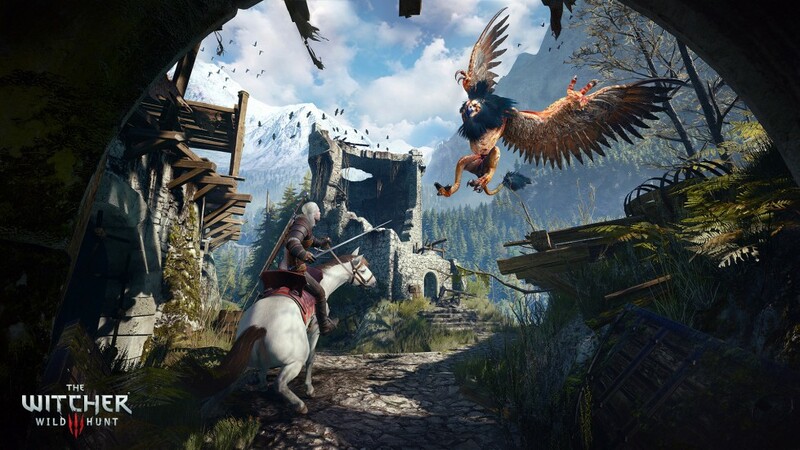 It's pretty hard to talk about The Witcher 3 without gushing, to be frank. It's by far my favorite game on the list, and there are good reasons why. One of the biggest, for me, is that Geralt is a supremely interesting character and The Witcher 3's story is, as a whole, pretty remarkable (aside from some pacing issues late game). The player could forgo all of the side quests, and they would still be taken ahold by The Witcher 3's compelling narrative and fleshed out the world. But still, it's those side quests which turn The Witcher 3's open world into something special, something that feels organic and alive—and that's its biggest strength. I know what you're thinking, if The Witcher 3 is my favorite game on here, then why isn't it first? Well, because Breath of the Wild is a game that, to me, really embodies what an open world game truly should be. Its design philosophy is intentionally geared towards freely exploring a beautiful, intricately detailed open world, and that's what makes it special. The player can approach the game in any way they'd like, without meaningless objectives thrown around the globe as pointless busywork—I mean, even its towers are fun, and I hate the trend of map-revealing towers in games (I'm looking at you, Ubisoft). Despite some of the issues I have with Breath of the Wild, the Divine Beasts and weapon durability system being the major ones, it's undeniable that Breath of the Wild succeeds in what it sets out to do. It's simply a triumph of open world games.